In evening’s “golden hour,” the sun is so low that the world forgets to cast shadows, and everything goes woozy with red, glowing it seems under its own power. 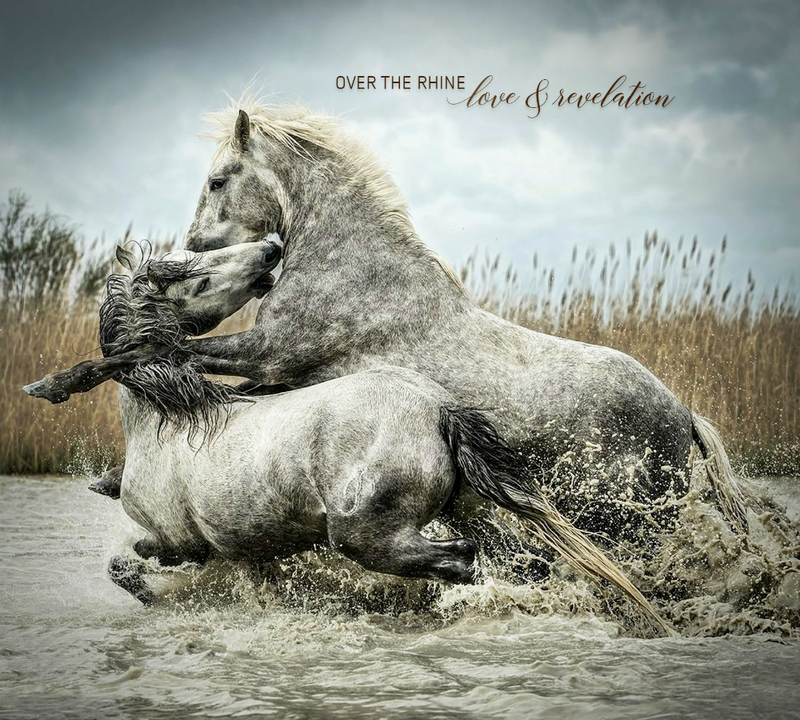 Language about light and photography has come up a lot in the lyrics of Over the Rhine over their three decades of recordings. But if we were to organize their music into phases of the day, we’d find much of it — perhaps most — belongs to evening’s blue hour: songs for times when dreams are being surrendered, when we’re left with only distant reflections of light. The great Presbyterian minister Frederick Buechner once wrote, ‘The place God calls you to is the place where your deep gladness and the world’s deep hunger meet.” By that definition, Over the Rhine’s gladness is to sing for (and of) dreamers discouraged, for those who must surrender although they strove and strove, for those who have seen beauty abused or torn down. Call it Blue Hour Music. Call it empathy. Call it the laughter of recognition or call it consolation. These might be songs for marriages or friendships that just won’t make it, artists who can’t cover the costs of their visions, believers who lose their grip on faith — even Americans who find a nation’s foundations sinking beneath the rising tides of lies, fear, and hatred. Whatever troubles that Karin Bergquist and Linford Detweiler are soundtracking, they’re not faking it. They know the territory and speak from experience. 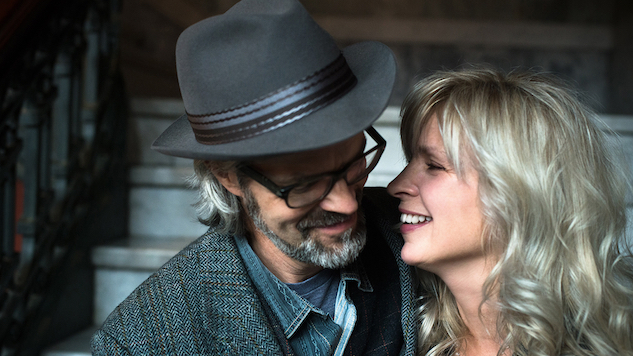 In 30 years of making music and 22 years of marriage, they’ve been through things and lived to tell the tale. You can map their personal hardships by the quietness of their records, as if they’ve played and sung more tenderly, more gently, when the hurt has been especially raw. Good Dog Bad Dog was released in a time of uncertainty that the band would even continue; Drunkard’s Prayer came together as they fought to save their marriage from coming apart. And here they are with their quietest record for what may be the hardest times their audience has known. Love & Revelation, their 15th album, might play as the soundtrack for a movie about personal losses set against the roiling backdrop of this present American darkness. They sing psalms over intimate hurts and raise prayers for those still standing at the end of the world; they grieve our losses and horrors; and they invest in a hope beyond the human sphere. And, as they asserted on 2013’s Meet Me at the Edge of the World, these magic hours are their “favorite time of light,” a twilight when we count the cost of the day, but also an hour of enchantment, when we might sense more possibility in heaven and earth than we have yet dared to dream. Against a backdrop of blue, the flare of a torch or a candle can seem otherworldly. We’ve lost loved ones. We’ve seen our friends struggling with loss—the loss of a child, or partner. We’ve stood with friends and family members as they struggled with chronic illness, or a scary-as-hell cancer diagnosis. And then we know a lot of people turn on the news and are in shock at what they are seeing. Beneath that shock is grief. We are grieving the fact that we aren’t quite sure who we are anymore as Americans. Things are shifting and being revealed. Maybe we are grieving the fact that we thought we were better than this. Are they singing to each other? Is this an offer of reconciliation to the one lost behind the wall of “Given Road”? Whether you take each track as a standalone story or as a chapter in an ongoing narrative — either way, it works. And regardless, I can’t help but take each track personally, these lines magnetically adhering to my own fears, my own hopes, my own relationships. So much treasure awaits in the eight remaining songs: a timely tribute to Mary Oliver, a perfectly pitched Dylan Thomas reference (you could make a powerful playlist of songs in which these two have directly referenced great poets), and — particularly poignant — a clear and timely rejection of any religion or political party that preaches love but still packs heat. This is a record for those who still believe in the dream of an America that invites the broken, the weary, the abused, and the outcasts, and that bears their burdens and offers them grace. It may be too late to fulfill America’s promise of a nation built on love and liberation, but the poets have always believed that such a citizenship was never of this world anyway. For believers, human history is one long blue hour, a scramble for echoes of light, a long wait for sunrise. None of these convictions are new for Over the Rhine listeners, but in the past I’ve settled on certain songs as highlights and come to play them more often. This time, I find I want to play the whole record through every time, and in order. As I observed in my first effusive post upon hearing this album for the first time in January—these songs have been rigorously road-tested and lived in. (Later, Josh Hurst would say it better, saying the songs “feel as comfortable and lived-in as a favorite pair of blue jeans, all the stiffness long worn away.”) And it shows in subtlety of tender performances. Nothing announces itself as a Major Event, and nobody seizes a spotlight. The songs, like the players, seem entirely attentive to — and generous toward — one another. It sounds like it could have been recorded in one enchanted evening; no record in their catalog feels so concise but also so complete, so cohesive in sound and spirit. This may bother listeners looking for variety. (Hilary Saunders at No Depression, after praising the band’s “mastery,” scowls over what she calls “a stagnant pace.”) It’s true that Love & Revelation lacks the stylistic range of more sonically adventurous albums like Films for Radio, The Trumpet Child, and The Long Surrender. But I find it the farthest thing from “stagnant.” Bergquist and Detweiler seem to think these dark times call upon their subtlest, quietest strengths: an array of votive candles instead of a bonfire—lights that both illuminate and point the way to something more. The effect is spellbinding, and the collection is so much greater than the sum of its psalms. At this point in her career, Karin Bergquist doesn’t need to prove anything as either a vocalist or a lyricist. But she does: while the album features several collaborations with her partner, she wrote most of them herself (“Los Lunas,” “Given Road,” “Love & Revelation,” “Making Pictures,” “Leavin’ Days”) and proves that she can work more than enough magic by drawing her voice down into blue embers and dwelling there, holding back from the kerosene crescendos that have so often brought audiences to their feet. The only Sweetheart missing? Producer Joe Henry, who first assembled the Sweethearts for 2011’s The Long Surrender (my favorite OTR record) and 2014’s Meet Me at the Edge of the World. But Bergquist and Detweiler have learned much from the master, and this album stands as a tribute to his influence: the title, in fact, is lifted directly from the sign-off of Henry’s emails. You don’t have to dust for his fingerprints; dust and wild edges are part of his style. I take guidance from this early-evening constellation. Increasingly, bad-news day by bad-news day, I think of Frodo and Sam clinging to the rocks on Mount Doom, the lava rising fast all around them, their vision failing. Tolkien insisted, “I am a Christian … so that I do not expect ‘history’ to be anything but a ‘long defeat. '” Elsewhere, he writes, “[O]ne must face the fact: the power of Evil in the world is not finally resistible by incarnate creatures, however ‘good’….” That’s a dire prophecy. Who knows where it’s heading? May God love you like you’ve never been loved. No — as sorrows like sea billows roll, I’m not finding much hope for saving all that is being destroyed around, above, and beneath me. It’s not dark yet, but it’s getting there fast. All the same, blue hour is beautiful, and Over the Rhine mean to go on taking and singing their photographs. When I listen to Love and Revelation, I am blessed by what they’ve developed in their darkrooms. This is music to sing all the way to midnight, where the day begins again… right? So far, anyway. So far.